The 11th season of Indian Premier League (IPL 2018) is to be started from 7 April 2018. 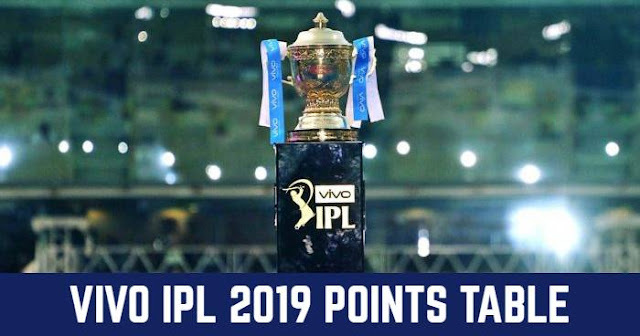 And also IPL has started official IPL Fantasy League 2018, which can be played at IPL 2018 Fantasy League. For those of you wondering what IPL Fantasy League is, let’s take a look. 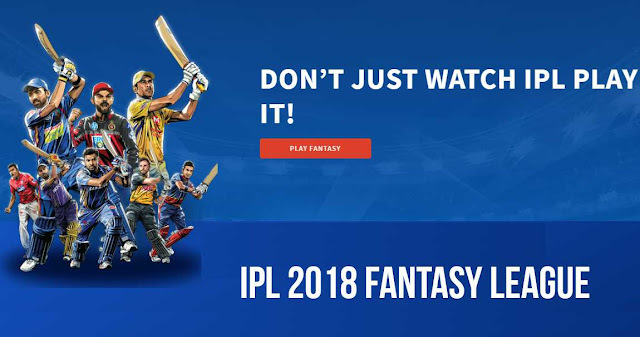 IPL Fantasy league is an online game organised by Indian Premier League officially, where the users create a virtual team from the allocated point’s budget. And you will earn the points on the basis of the players of your choice performing in the actual matches. The team with the maximum points win. How to create the account for IPL Fantasy League 2018? Now Create New Account dialogue box will appear, fill the form and Register or you can directly register through Facebook. And your Account is created. Now fill the form with your team details such as team name, team motto, supporting and select the logo for the team. How to create your squad or Squad Selection? Initially, you will be provided with 10 Million Virtual Dollar to create a team of 11 players. (All players should be selected within the limit). Every real-world player playing in IPL 2018 will be available for selection with its own cost, IPL franchise, playing the role such as batsman, bowler, all-rounder or wicket-keeper and whether capped or uncapped by the national team. You can select a minimum of 4 or maximum 5 batsmen, minimum 2 or maximum 5 bowlers, minimum 1 or maximum 4 all-rounder’s and only one wicket-keeper is allowed. Maximum of 4 overseas players can be selected and you have to select at least one uncapped player. Also, only a maximum of 6 players can be selected from a single IPL franchise team. Players can be changed before the scheduled time of the commencement of the match and one can change the team for every match. Any one player can be assigned as the power player; points earned by the power play will be doubled. Power player cannot be changed or transferred during the match. It can only be changed before the commencement of the match or after the match is over. Fantasy Championship is played during the whole IPL tournament. The player performance will be calculated on the basis of points. And at the end of each match, every player's point will be summed to form the virtual team's points. At the end of the tournament, the virtual team with the maximum point will be the winner. In case of a tie, total points of the power play will be compared and team with the highest points will be declared the winner. Before the commencement of match 1 of the IPL, users can make unlimited substitutions and changes to their virtual squads. After the commencement of match 1 and before the commencement of match 56 of the IPL, users are allowed to make up to 75 substitutions in aggregate. After the commencement of match 56 and before the commencement of ‘Qualifier 1’, users can again make unlimited substitutions and changes. After the commencement of ‘Qualifier 1’ and before the commencement of the ‘Final’, users can make up to 10 substitutions. In Daily Challenge users will be allowed to create a virtual team from the players participating in a particular match played during a single day and compete against the teams of all other users on that same day. Points will be calculated on the basis of the points scored by all the players of the team. Virtual team with maximum points at the end of each day will be the winner. 1. 1 Point per Run. 0 - 5.00: 15 Points. 5.01 - 8.00: 10 Points. 8.01 - 10.00: 5 Points. 10.01 - 12.00: -10 Points. Prize details will be announced later.